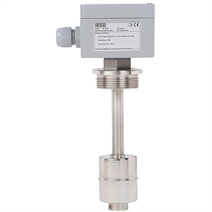 The model RLT-3000 level sensor with temperature output combines the recording of the level and temperature of liquids in a single measuring point. The stainless steel used is suitable for a multitude of media, such as, for example, oil, water, diesel and refrigerants. A permanent magnet built into the float triggers, with its magnetic field, the resistance measuring chain built into the guide tube. 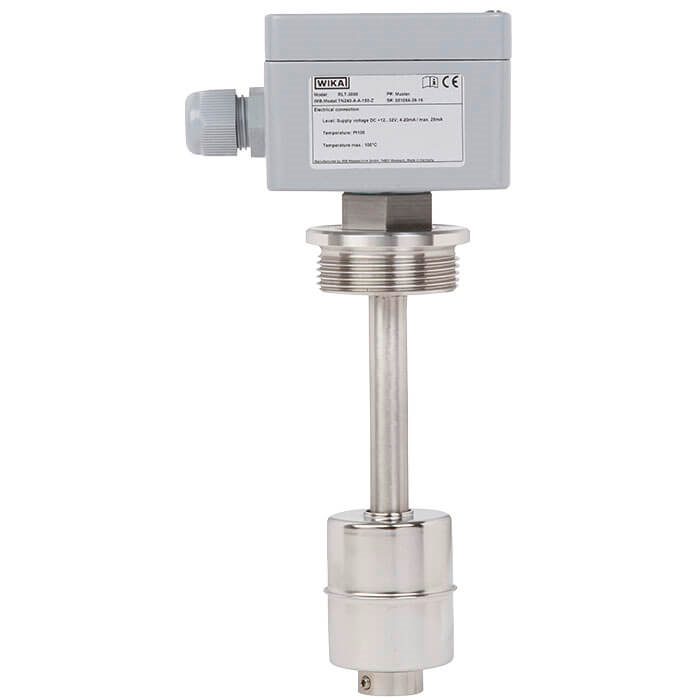 The built-in transmitter converts the signal of the resistance measuring chain into a 4 ... 20 mA current signal. The current signal is proportional to the level. For the temperature measurement, there is a platinum measuring resistor built into the end of the guide tube. The model RLT-3000 is also available with 2 optional 4 ... 20 mA analogue outputs.